How to write an effective email. Keep it short. For almost 20 years, email has been part of our lives at work. We can communicate with a single person or a group of staff members. However, many people make basic mistakes when they compose an email. What they are trying to communicate can be lost or misunderstood. A long time ago, I learned How To Write An Effective Business Email and some Email Mistakes. When I owned an advertising agency in Las Vegas, I had several clients that communicated with me multiple times a day via email. Often the emails contained information I needed, but a lot of the emails asked questions. Emails I sent often had questions, too. What I found is that a lot of my questions were never answered, so I'd resend the email - still no satisfactory answers. Then, I read an article in a business magazine that cleared up my problem and I made the suggested changes, which were minor, and my communication improved dramatically. My problem centered around not understanding how most people view email. We live in a fast-paced world. No one has time to read lengthy responses or inquiries. So keeping the email short and to the point was critical. Most people scan the first line or two and if they feel it is something they need to act on immediately, they will; if not, it gets saved or filed in a folder for future action. So, I cut to the chase and got right to the point in my emails. Suddenly, there were better responses and quicker responses to my emails. I need the logos for the new restaurant. Could you send me the files ASAP? We're on deadline. Everything has to be to the printer in two days. Do you want me to change the border and the color of the background in the ad that goes in the magazine for next week? Have you had a chance to review the copy for the article we're sending to the public relations firm? I don't think I like the third paragraph. Please review or have another staff member check it. If there are any facts I missed, please send them to me right away. Is the special still good until the end of the month? We're going to run the radio commercials again, starting on Friday. We have three days to change the script, if you have a new offer. See if Mike wants to keep the part in about the dinner parties. What I learned from experience was that from this email I would get the logo, which was asked for in the first paragraph. Everything else in the email was ignored. That is because busy people tend to scan the first paragraph and assume that the rest of the email has something to do with the logo. Point number two might get handled, but rarely did this turn into a list of things that were all accomplished. If you read that email again, you'll see that two of the paragraphs refer to other people, who won't care about the logo or any of the other content. The solution - one idea per email. What this does is it puts a laser focus on what you are requesting. If the person you requested the info from cannot fulfill your request, they can easily forward it to someone who can - without sending them a laundry list of other unrelated To Do items. Another tip is to make sure the subject is short and specific. 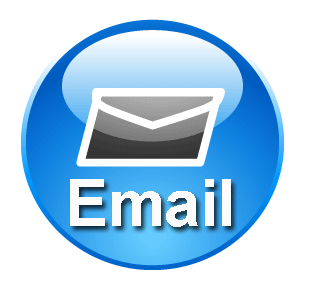 The recipient should almost know what is needed before they read the body of the email. Immediately, John would know who it was from. If he forwarded this to a designer, they would know who needed the logo. These are simple tips, but they really changed the effectiveness of my communications with my clients. Less content was passed over and I received quicker responses to my requests. Try it. We live in a world that has gotten even shorter with text messaging. Write your emails like text messages and you'll find you get more done, quicker. Plus, who wants to sit and write for a long time - unless you're a caffeine driven blogger like me. Short and to the point. One idea per email. Descriptive subject line. That is how to write an effective business email and avoid email mistakes.